Creme de la Creme Giveaway! 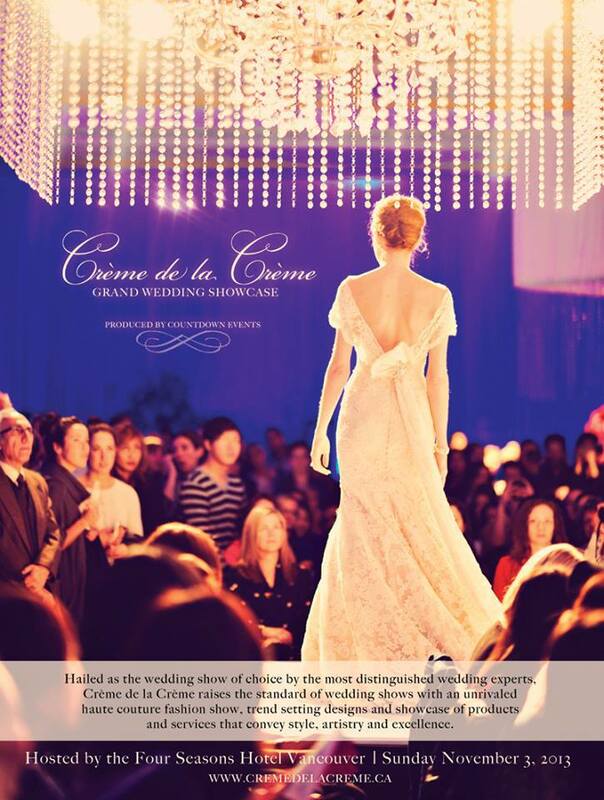 We are so excited to announce that All Dolled Up Studio will be one of the exhibitors at this years Creme de la Creme Wedding Showcase at the Four Seasons Hotel Vancouver on November 3, 2013 and we are giving away 10 TICKETS. If you would like to be one of the lucky brides to attend this coveted show than please follow us on FACEBOOK by “LIKING” our page and posting a comment with your upcoming wedding date. Winner’s will be selected on Saturday November 2nd, 2013 by 12pm. Not only are we featured at our very own booth, but we will be the exclusive makeup artists and hairstylists for Bisou Bridals Fashion Show. We are excited to be offering makeup demo’s to Bride’s all day long, as well as a prize draw and an early booking bonus for new clients. Vancouver’s premiere bridal show, Crème de la Crème Grand Wedding Showcase, returns for its ninth year on November 3, 2013 at the Four Seasons Hotel Vancouver. CRÈME DE LA CRÈME raises the standard of wedding shows with an unmatched haute couture fashion show, trendsetting designs, and showcase of products and services that convey style, artistry and excellence. Don’t miss this exclusive event. We hope to see you there xo!